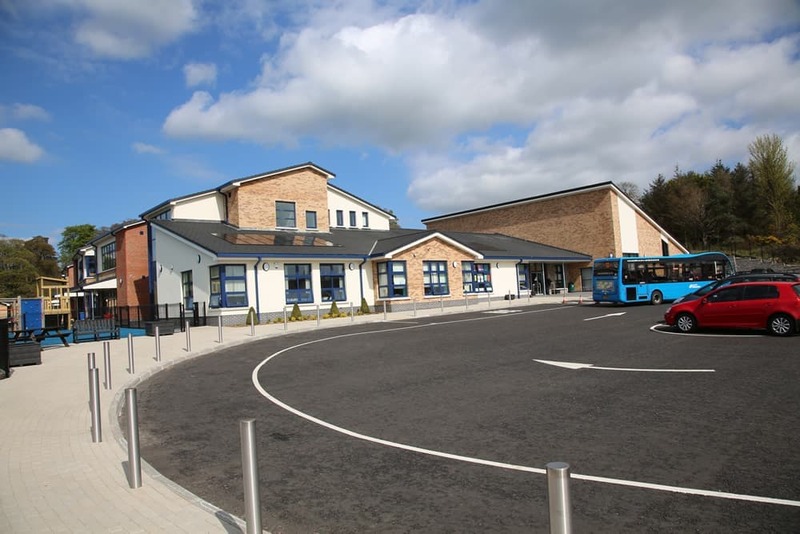 St Clare’s Abbey is a state of the art, new primary school in Newry. 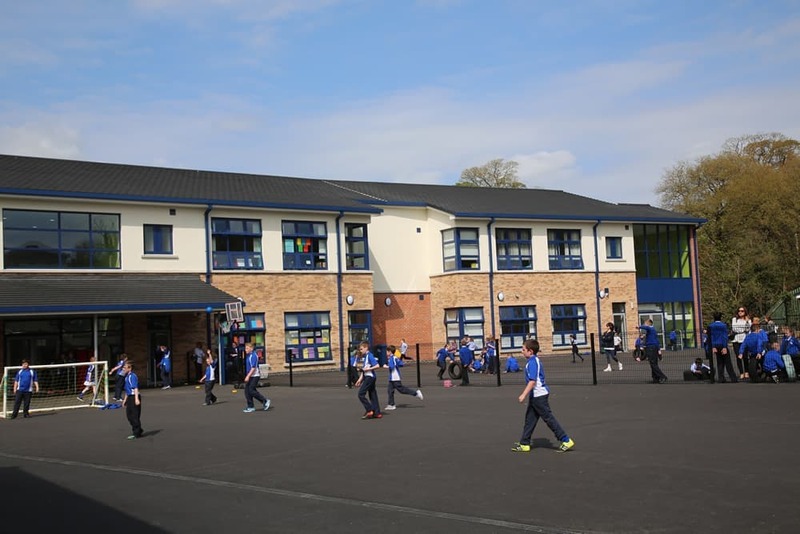 It represents an amalgamation of St Colman’s Abbey and St Clare’s Convent Primary Schools both of which had outgrown their original enrolment and were in need of major works to comply with current Department of Education standards. 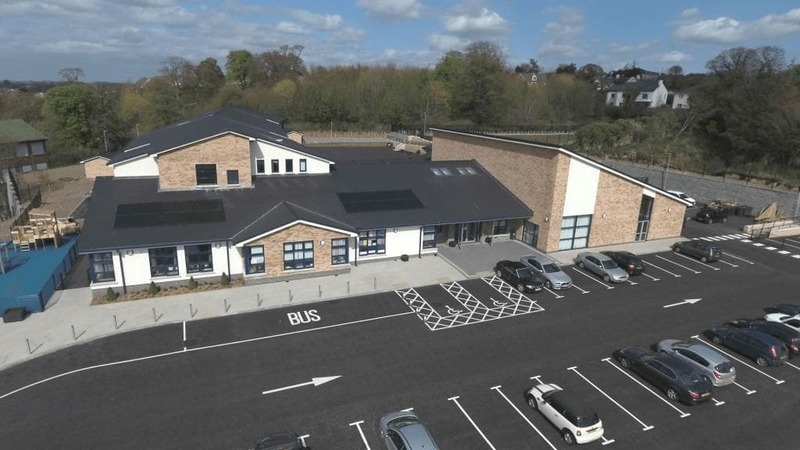 The outstanding new facility now caters for an enrolment of 500 pupils with accommodation including 15 classrooms, a standalone nursery school and one moderate learning difficulty unit. 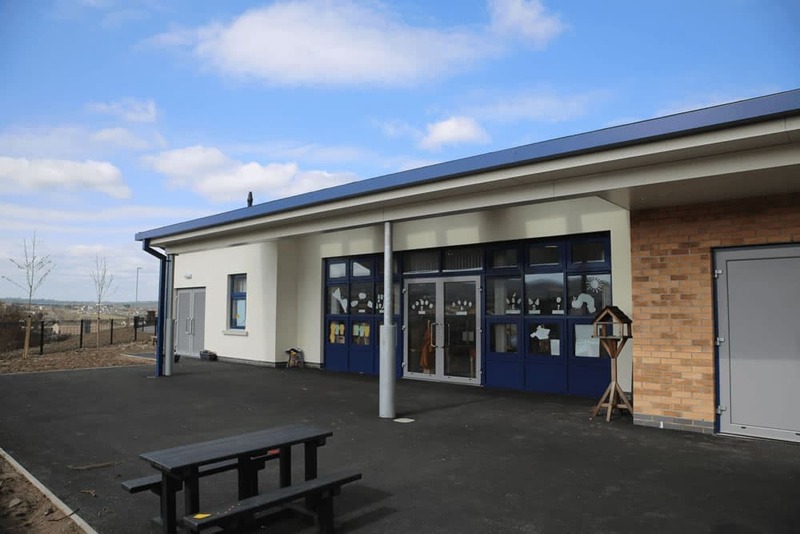 The new school was officially opened by Education Minister John O'Dowd on the 14th March 2016. 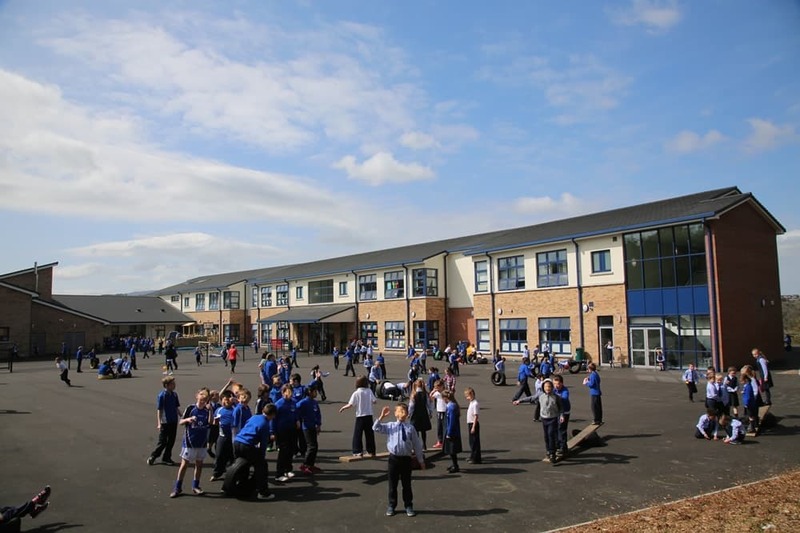 The main school building covers over 5,000m² and is based around a 2-storey block incorporating the bulk of the new 15 class provision while other facilities including hygiene rooms, resource areas, a library, administration offices, staff rooms, a multi-purpose hall, dining hall and school meals kitchen are accommodated in the adjoining single storey buildings. 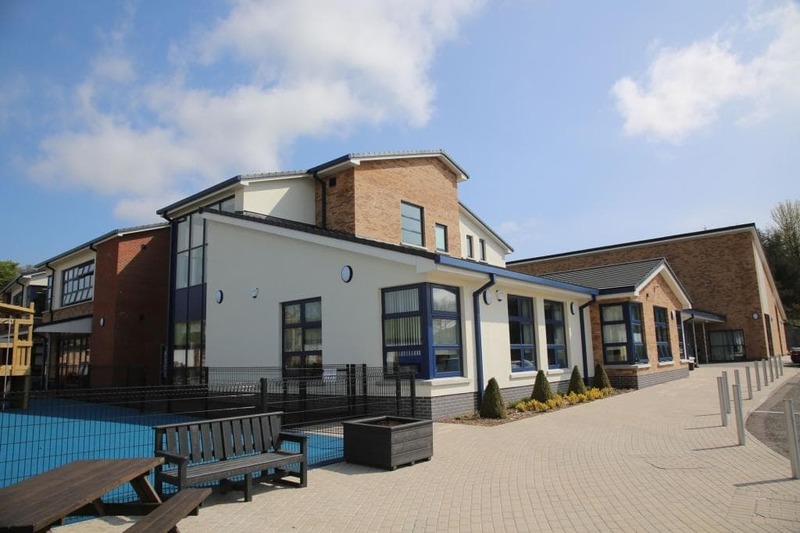 Externally over 2,700m² of soft play area was established with other key features including hard play areas, car parking, a new entrance road, footpaths, retaining walls and landscaping. The school was built on a steeply sloping site with rock protruding at ground level. Large retaining walls were constructed along the site boundary and a major cut/fill exercise undertaken to create a shelf for the new buildings and play spaces. Value Engineering exercises focusing on the cut/fill works reduced the volume of rock to be excavated and drawn off site by upto 50% (excavated rock was crushed and reused under play areas and provided a 4 week programme gain). 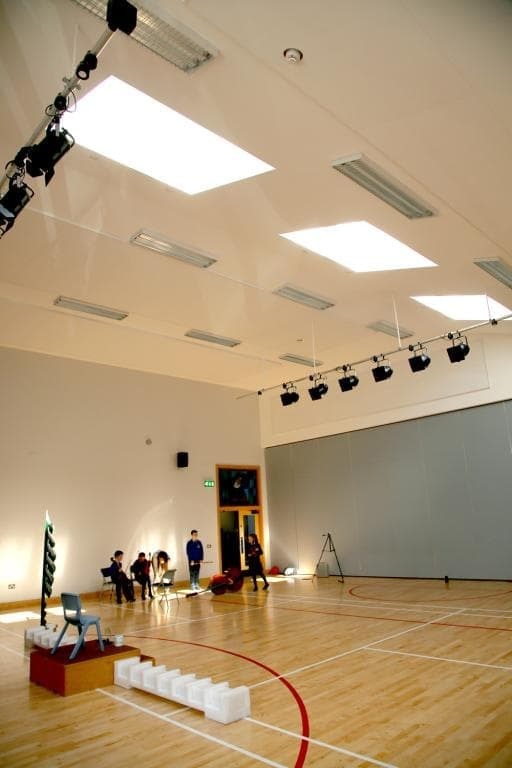 All works were snagged and signed off as each element was completed and a bespoke handover and close out programme was used in the last 3 months of the project. This resulted in a zero defects handover and ensured the term critical handover date was successfully achieved. An 8-week rock breaking programme had potential to cause complaints from nearby residents. Our investment in noise reducing plant and equipment and daily progress meetings with residents accompanied by leaflet drops with drone images ensured there were no complaints.